What happened is in the past. Now it’s time for another quick reset. 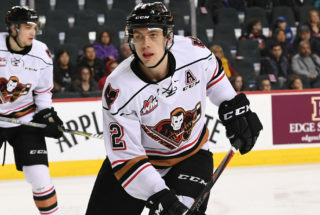 After a tough 3-2 overtime loss to the Edmonton Oil Kings Saturday night to open up Round Two, the Hitmen will look to get back in the series Sunday night in Game Two at Rogers Place. 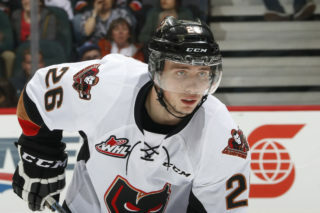 The Hitmen were holding on to a 2-0 lead headed into the final five minutes, thanks to markers from Kaden Elder and Luke Coleman, but Edmonton found a way to comeback scoring the equalizer with just 14 seconds left in the game. “Regardless how the last game went whether you win or lose you have to reset right away,” assistant coach Trent Cassan said. “We learned that a lot from that first round and we can’t get down on ourselves. Jake Neighbours scored the tying goal and the overtime winner, with Parker Gavlas adding a single, and Dylan Myskiw made 20 stops for the Oil Kings. 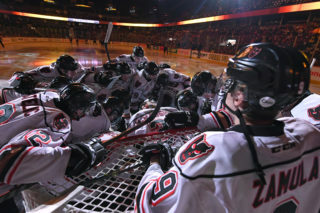 Jack McNaughton ended with 31 saves for the visitors from the Stampede City in a second-star performance. 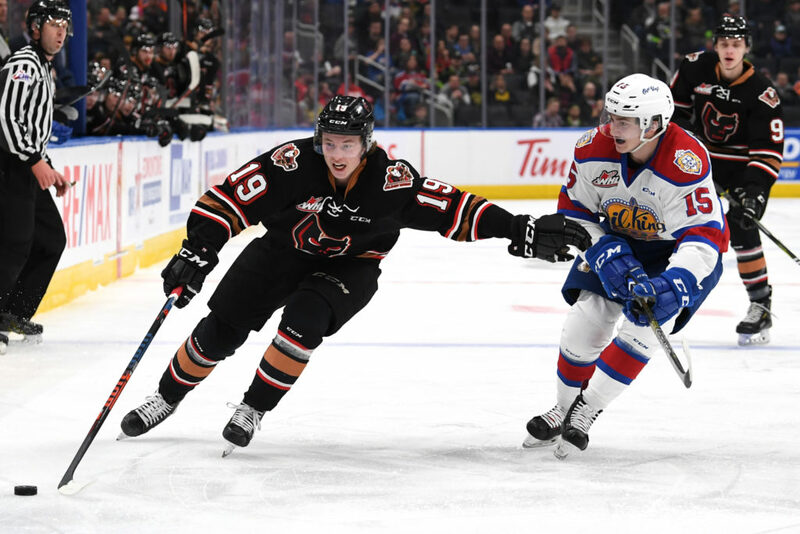 This isn’t uncharted territory for the Hitmen as Game One in Round One saw a similar fate when they dropped a 3-2 overtime decision to Lethbridge. 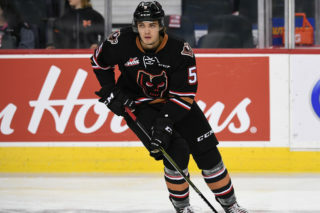 It’s no secret that there’s still a long way to go in the Eastern Conference Semi-Final and the Hitmen will look for their resiliency to fuel them like it has all year long. “You don’t lose four games in one,”Cassan said. “It’s key to remember you aren’t out of it and there’s always that opportunity to get back into a series with each game. 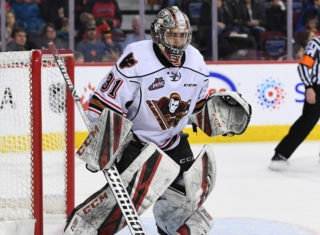 Round One had a lot of learning lessons for the young Hitmen, going down 2-0 and coming back to win the series for the third time in franchise history but there’s no question that they don’t want to fall behind again headed back home. They are hungry for the win and will look to steal home ice advantage. “We worked hard and we know that we can pull it off,” Kaden Elder said. “It’s good to get the first game of the series out of the way and now we need to focus in on the details and keep an even-keeled approach. Mark Kastelic (4G, 3A) and Kaden Elder (2G, 3A) are riding four-game point streaks.